One of the most commonly used elements is contemporary architecture, concrete can often seem cold and grey, rough and lifeless. However, when combined with other elements, such as wood, glass or metal, concrete can become on a much more vibrant and appealing material that can be used to create truly spectacular projects. 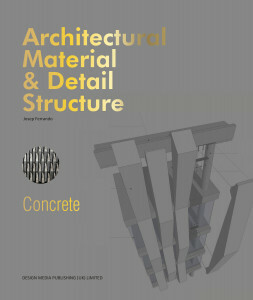 Filled with excellent full-colour photography and detailed architectural plans, this book approaches the use of concrete in architecture from a new perspective. Through presentation and analysis of real-life projects, readers will gain a new understanding of this popular material.